Tokyo — Oil prices rose on Monday as investors focused on tight market conditions after data late last week showed US crude inventories fell to their lowest in more than three years. Official data that came out on Thursday, a day later than normal due to the July 4 public holiday, showed inventories at Cushing, the delivery point for US crude futures, fell to their lowest in three-and-a-half years. "Cushing is clearly screaming out for crude, with the prompt few months more than $2 backwardated," said Virendra Chauhan, an analyst at Energy Aspects in Singapore. Backwardation refers to a market situation that suggests tightness as prices for immediate delivery are higher than those for later dispatch. Investors are also focusing on how much exports from Saudi Arabia and other Gulf states will rise, Chauhan said. 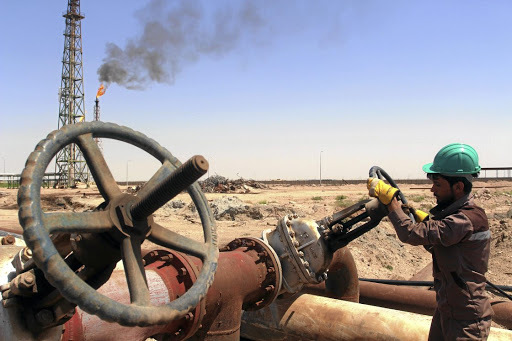 Oil cartel Opec agreed in July to a modest increase in output to dampen a rally in oil prices, which recently hit a three-and-a-half-year high. An increase in supply will reverse some of the output cuts that Opec and other major producers put in place in early 2017 to end several years of supply glut. The tightness at Cushing and the potential increase in Gulf exports "both have implications for how quickly the prompt overhang in the market can clear, and thus provide some direction for prices", Chauhan said. US producers are continuing to bring more rigs into oilfields already producing at record levels. The US rig count, an early indicator of future output, was up by five in the week to July 6, according to General Electric’s Baker Hughes energy services firm. That brings the total count to 863, up 100 from in 2017. The concern that oil prices would be weighed down by a trade conflict between the US and China had faded to some extent, analysts said. The US and China exchanged the first salvos in what could become a protracted trade war on Friday, slapping tariffs on $34bn worth of each others’ goods and giving no sign of willingness to start talks aimed at a reaching a truce.